I wore the new Lavender Whip on my top lip and the 2008 Lavender Whip on my bottom lip. No perceptible difference to the naked eye. 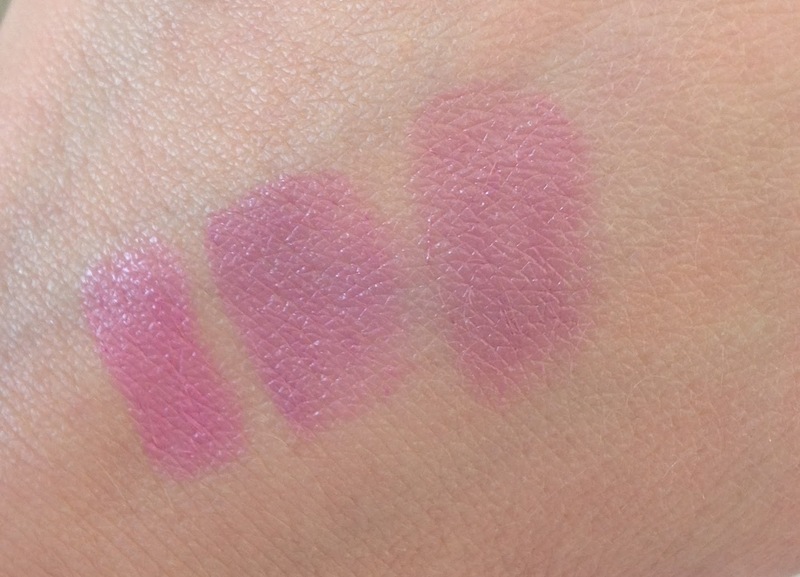 And I swatched Budding Love, Original Lavender Whip and New Lavender Whip in that order (and pictured cased in that order). By the way, NARS Mata Hari in the background - the best blusher to wear with Lavender Whip if you ask me. 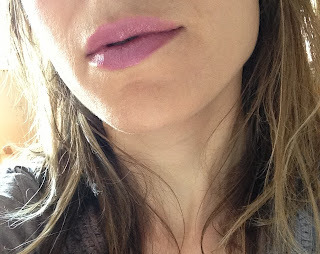 I do need a good lip pencil for this though, I must look into that -please let me know if you have any ideas? I highly recommend Lavender Whip, it is so pretty yet unusual. 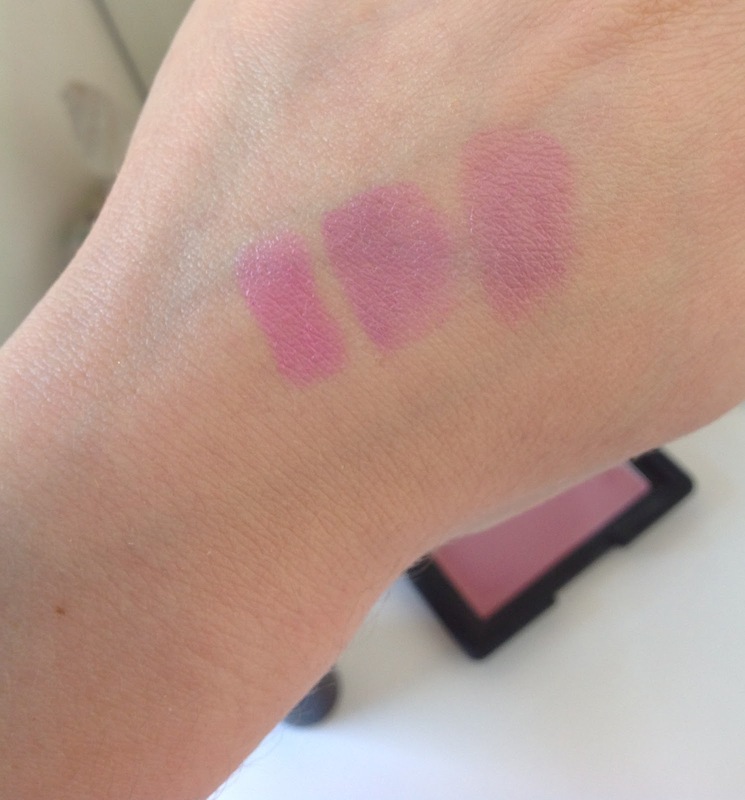 The texture is great and it lasts fairly well, fading to a lovely innocent cooled down pink. 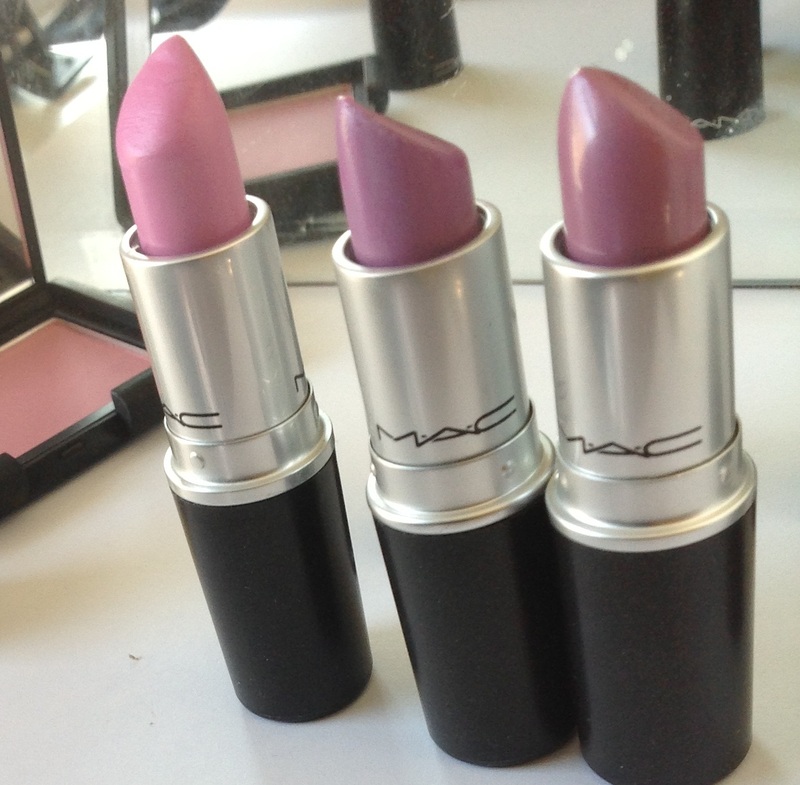 I have ordered MAC Riri Woo so I am excited for that to arrive next! MAC have been rather good lately, except Let's Skate paint pot, which I found abysmal: glitter fallout everywhere and very over-hyped. 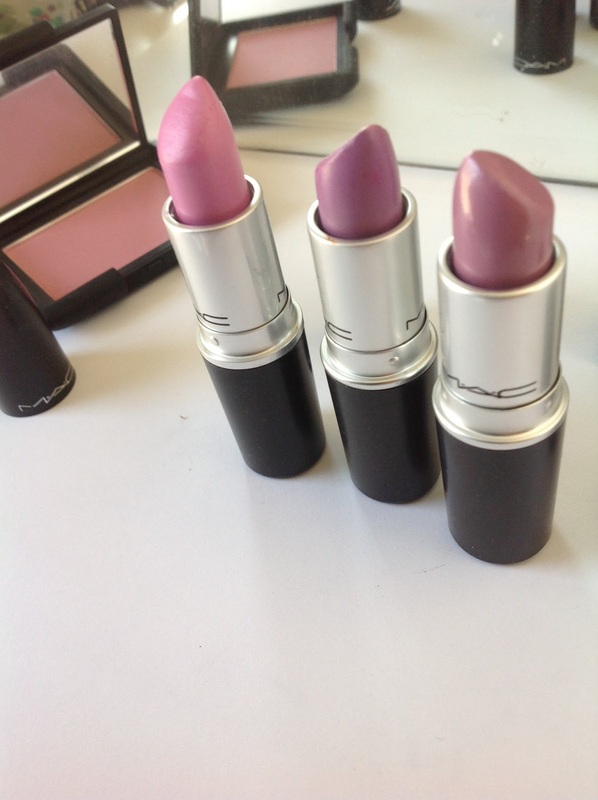 But Lavender Whip is worth its place as one of the finest MAC lipsticks out there. It's currently available online. [edit/// oops it sold out again] Well you'd better run to a counter... Good luck! I would love this to be made permanent; this and Candy Yum Yum are both truly unique yet very wearable, almost opposite sides of the same coin. I think of this as a stripped down version of Candy Yum Yum as it has the same magenta heart to it.